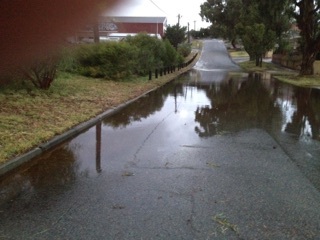 On the Cnr of South St and Hines Rd in O’Conner the street sump has started to subside for some time. Even now the netting that was put up has started to sun bleach and has well and truly collapsed. 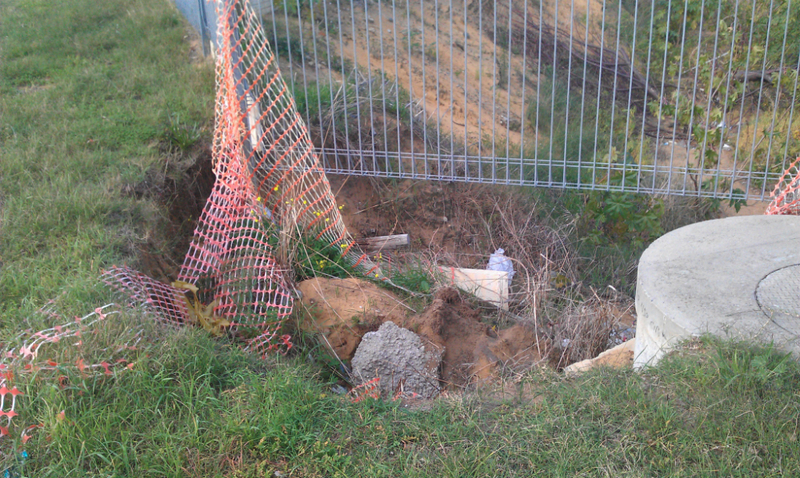 Anyone walking along the fence line in the dark would just disappear into the hole. 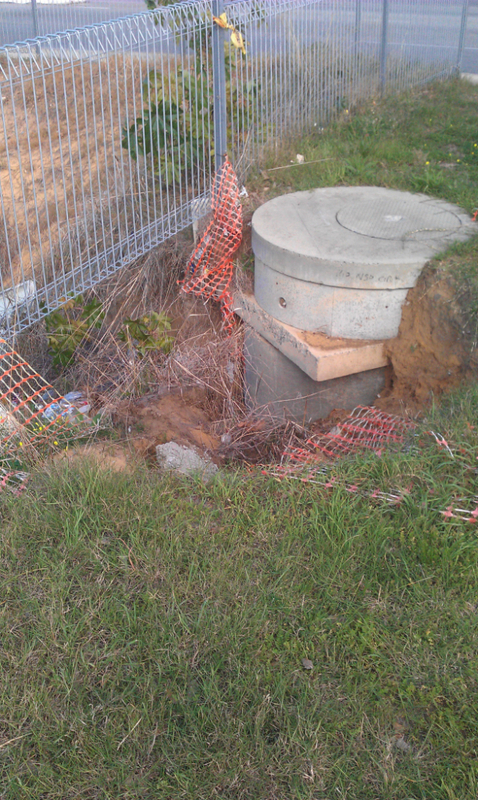 Not to mention the further damage that will happen to the sump if left un-repaired, i.e. cost to the rate payer. How simple issue are’s like this left unattended for so long? What concerns me is that is council ideology is drawing funds and attention from the basic issues of simple maintenance? Which should be concerning for all of us. Clearly maintenance issues aren’t getting the attention they need or perhaps the funding is not there as council prefers to drive/fund their own political ideology instead of resident and rate payers amenity, or in this case safety. 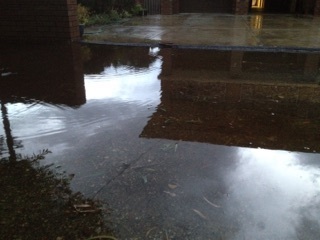 Last night we had our first consistent rain in months, heavy at times but nothing torrential. 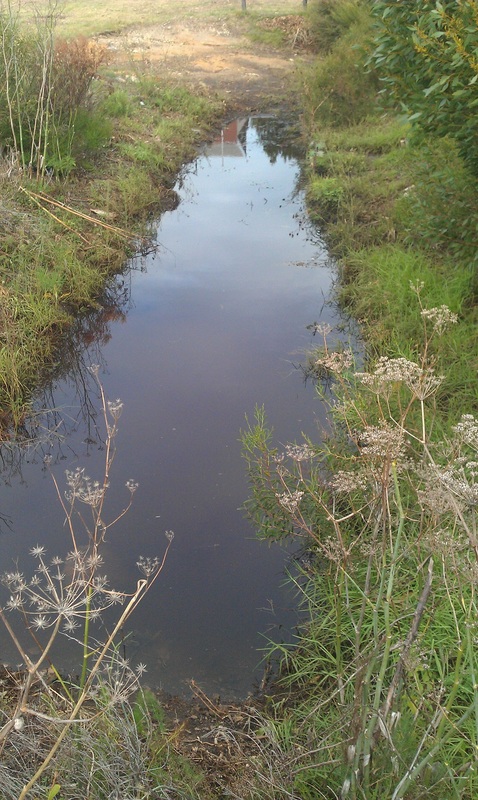 Above is a google picture of the vacant block, drain and area where water can can come from to flood the street by filling this road side ditch. 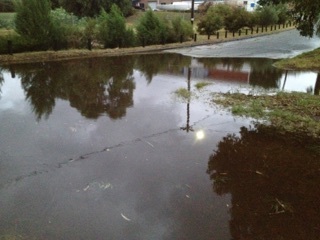 Here are some pics from Daly st South Freo which flooded the road last night more than 200mm deep in places. Its seems that the road drain flows out into a ditch along side of the road. 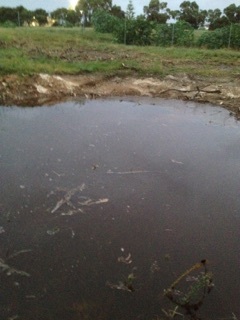 From a safety point of view sumps are usually fenced in this case it is just a big water filled ditch with gods knows whats under the dirty waters surface? 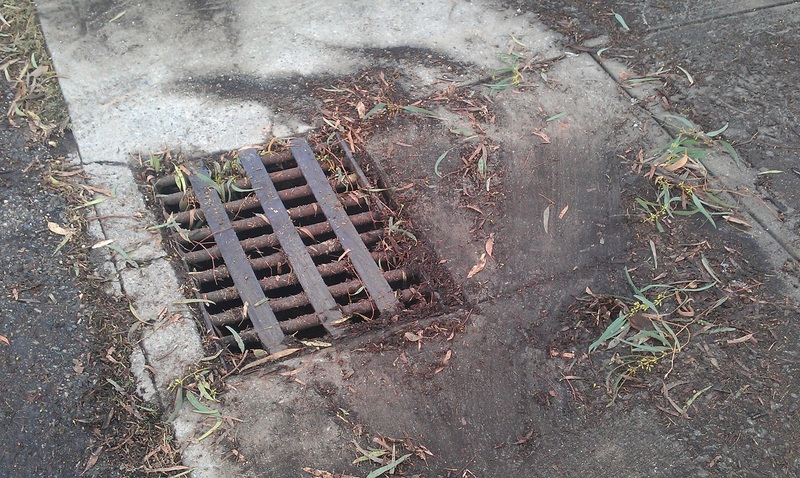 Imagine someones dog getting stuck in this road side mess and drowning let alone a child. As I believe the site is also contaminated imagine what toxins are being washed down in the ditch and into peoples yards where the families live and play. Not to mention any issues native or domestic animal will have from drinking it? 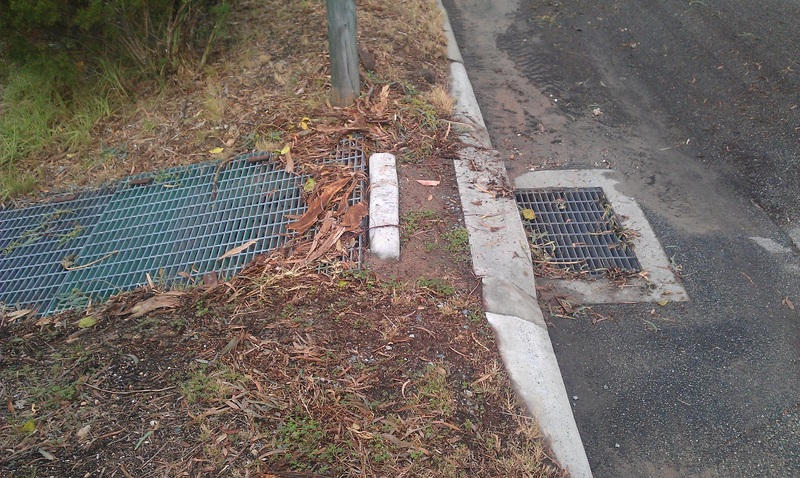 It also seems that drain works both ways once the ditch is full from the run off from the vacant block and street it floods back onto the street from the drain, across the road over the footpath and into peoples houses, sound familiar? 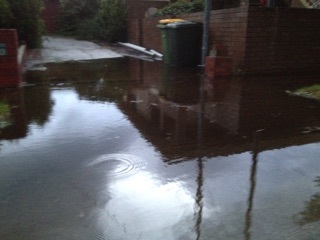 Yes just like Hampton Rd, another flooding issue I have been told that has gone on for years. Again its back to basics while the council can plan to pull $100,000 out of the bag for a political campaign at the drop of a hat I don’t see them so fast to react to real issues effecting residents. Well fix a whole streets flooding issues may only attract a couple of votes, now put a $100,000 into a political campaign now there’s money well spent, right??? ?, well maybe not for the residents and rate payers, but it will be great for the councillors? Council is aware of this as it brought to the attention of a councillor some months ago and to council for years, but here they stand again ankle deep in water. I wonder how many houses in this street they intend to buy to get this issue to go away?